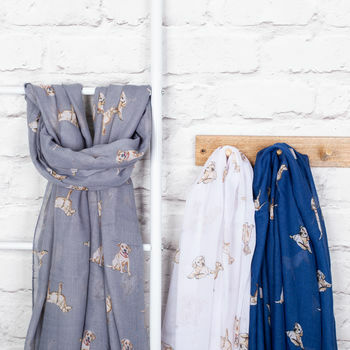 A fun, lightweight printed scarf, with a hand drawn style pattern of little labrador dogs. The scarf either comes on a White, Light Grey or Blue base colour. 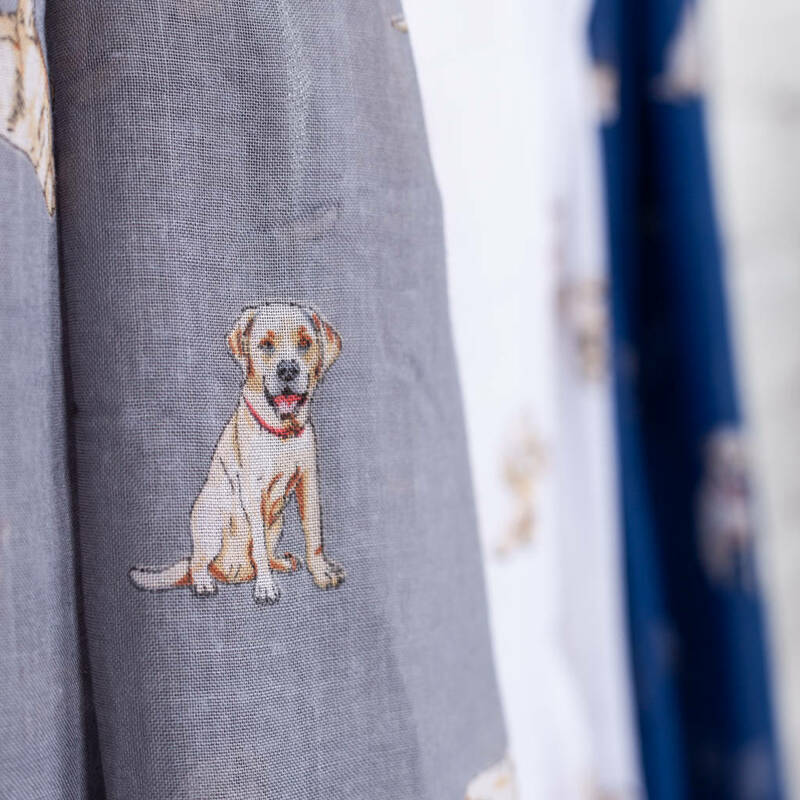 The print features hand drawn illustrations of labradors repeated all over it. All scarves come gift wrapped in tissue paper. 100cm wide x 190cm long.